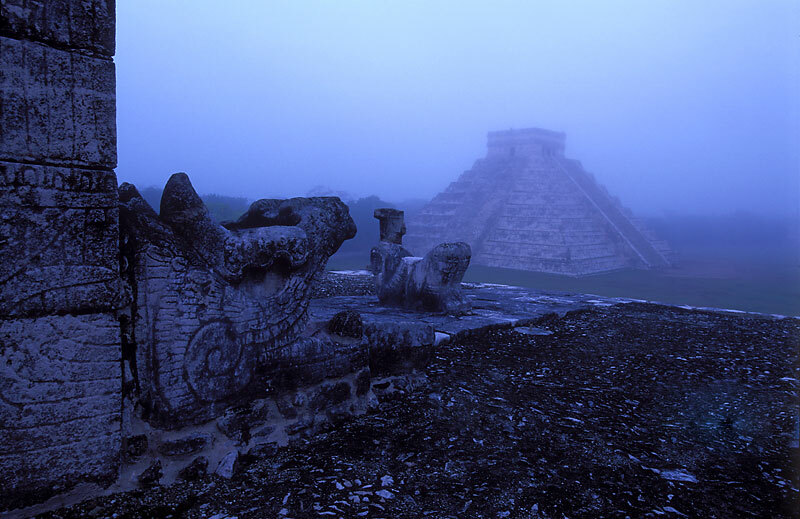 The Kukulcan Temple or "The Castle", from the Temple of the Warriors in the misty predawn. Chac Mol, god of rain and thunder was offered human sacrifices -from worthy captured enemy warriors- for fertility and good crops in drought times. IMHO, this is the best picture so far with a composition angle I haven't seen before. The angle is thanks to Ron Wright who saw it first and kindly let me take his place. The perspective is thanks to the 17-35mm f/2.8D ED AF-S, not a common lens when most images in books were made. The other important feature of these images is that thanks to the State Ministry of Culture and the National Institute of Anthropology and History, we were granted special (and very rare) permits to come into Chichen Itza at off hours, before sunrise and at sunset. I was there about a year ago and I already thought you guys had to have some special permits, or sun was setting very early! Great shot - wish I could have been there. Thank you Marsel. We really missed you, knowing you could have taught us a thing or two. Just goes to show those with lofty ambitions and the physical ability to get there can capture great shots. 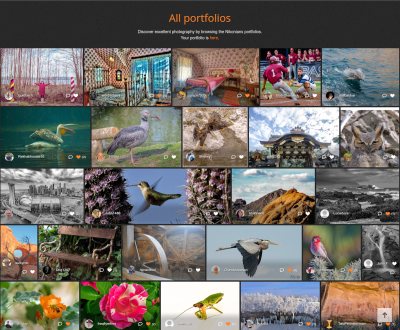 to the mystery and intrigue of this site. an awesome shot - wow! Thank you Chris. So glad you came with us. Hanz, most kind of you. Thank you. We had special permits to enter the area before opening time and stay beyond closing time. Otherwise the crowds always get in the way and the light is harsh.